July 28, 1952 was a very good day. Daniel Lovan was born to his loving parents, Bob and Lorene Lovan. They brought him home to his brother Steven and sister Lois. Bob and Lorene would go on to add Cindy, Peter, Paul, and Hayley to their already loving home. Dan grew up in a household that valued Christ, hard work, and family. He grew up in Southern California, surrounded by aunts and uncles and cousins. They played ball in the nearby fields, studied hard in school, and banded together to fix the cars and do house repairs. These are skills young Danny Boy took with him into adulthood. He worked hard and could fix just about anything, often using the hammers and tools and knowledge of his father. Dan graduated from Eisenhower High School in Rialto, CA and on August 24, 1971 he married his high school sweetheart, Diane Nordyke. A baby girl, Jennifer, soon followed. 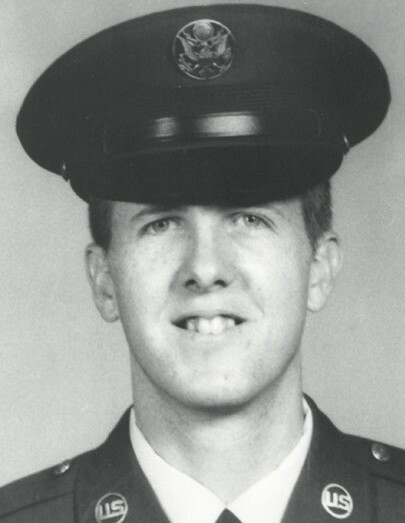 Dan joined the Air Force in August of 1973, went to Basic Training followed by tech school in Illinois. The Air Force then moved his small family to Louisiana. There Andrew was born in 1975 and aside from various dogs and cats and fish, their family was complete. The Air Force moved his family around the country, and the Dan Lovan family dutifully served their soldier and their country by following in his bootsteps. At times, the Air Force required Dan to go solo on missions. Diane kept the home fires burning, and we all eagerly awaited his return home. While in the service, Dan earned many accolades and recognitions. He was cross-trained several times as the technology and his career advanced. He worked on the missiles on the B-52, served various stationary and mobile units to set up communications in times of war and peace, served in NATO during the Gulf War, and was an Active Duty Liaison to the Air National Guard. On the side, Dan earned his twin engine commercial license and enjoyed taking his kids and friends up in Piper and Cherokee planes for fun adventures. SMSGT Dan Lovan returned home for good and retired from the Air Force in 1999. Dan and Diane moved to West Jordan, Utah to be near their children. These children soon gave them grandchildren. Grandpa Dan and Grandma Diane cherish their role as grandparents, doting on their granddaughters: Makayla Lyn, Emma Grace, and Ashley Grace Taylor. After retirement from the Air Force Dan joined the civilian world of Qwest which became Century Link. There he rose through the ranks, from climbing telephone poles in freezing Utah winters to working on installing and setting up data and phone lines in business offices in the Utah and Idaho markets. He retired from Qwest after 19 years of service in January, 2019. In 2011 Dan was diagnosed with metastatic Renal Cell Carcinoma. He bravely and selflessly battled this disease, enrolling in clinical trial after clinical trial. He never gave up, he never gave in, he never quit. If one course of treatment was no longer viable for him, he would always ask, “What’s next?” He wanted to magnify his role as “patient.” His selfless, tireless, brave, and unyielding spirit helped advance medicine and we are sure that his sacrifice will benefit others for generations to come. March 16, 2019 was also a good day. In the very early hours of the morning, Dan “The Man” Lovan was welcomed home to his Heavenly Parents. I am quite sure his earthly parents were there to greet him too. I am quite sure that he is already wearing his work suit and gloves, pitching in and lending a helping hand. Dan is survived by his beautiful wife of 47 years, Diane Lovan, his daughter Jennifer Underdown (Jason), his son Andrew Lovan (Kassandra) and his adoring grandchildren Makayla Lyn and Emma Grace (Andrew and Kassie) and Ashley Grace Taylor (Jennifer and Jason). He is also survived by his brothers and sisters, Lois A. Newfelt (Bruce), Steven R. Lovan, Cynthia J. Ditto (Don), Peter A. Lovan (Mary), Paul J. Lovan, and Hayley J. Shultz (Brian). We also recognize and honor Dan’s many friends and colleagues in the U.S.A.F. and Century Link. Funeral services for Daniel Lovan will be Friday, March 22, 2019 at Anderson & Goff Mortuary, 11859 South 700 East in Draper. The viewing will be from 10:45–11:45 a.m., with the funeral starting at 12:00 noon. Interment at 1:30 p.m. at the Utah Veterans Cemetery and Memorial Park. To best honor Dan “The Man” please consider a donation to Huntsman Cancer Institute or simply be kind and courageous.